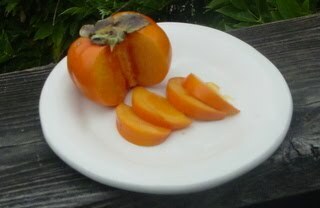 If you bite into a piece of fruit that looks like an orange tomato and your lips pucker because of the bitter taste, you may be chewing on an unripe persimmon. Your reaction would be similar to that of the early settlers of North America. Persimmons origins go back to ancient China. 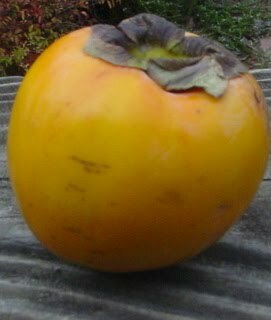 Fate intervened in the 1880’s when a United States Commander brought back a native Japanese persimmon variety to Washington, D.C. Now, persimmons are grown in California where hundreds of different varieties flourish. This brightly colored, glossy orange red skinned fruit is an excellent source of vitamin A, a good source of vitamin C, and rich in fiber. Twin Peaks, Nuefeld, Schelewitz, DeSantis and GBH all have persimmons now. The perfect antidote to Black (or gray) Friday is Green or Small Business Saturday. 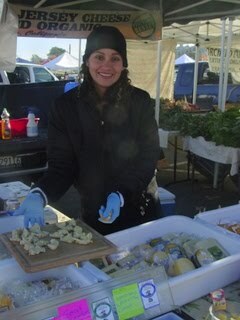 The vendors of the Santa Rosa Original Certified Farmers Market are all local small businesses. If you want the easiest way to support small businesses shop at the year round farmers market. It’s the perfect place for the foodie on your list. But you can also find great gifts for the non-food obsessed as well. 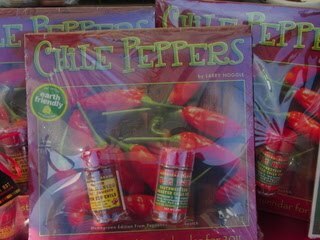 Got a hot pepper aficionado on your gift list? Someone who would appreciate a beautiful plant or great wood working? The cutest knit items for big and small and table top decorations, napkins and table cloths. It’s also the best place to plan your holiday party menu. 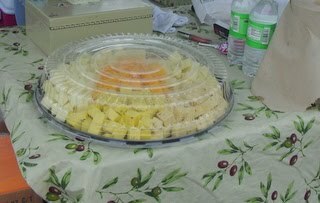 Thinking about a cheese platter -Springhill can put one together of their award winning cheeses. Many of the prepared food vendors are also caterers. Think about a platter of Lata’s samosas or a big tray of Mi Fiesta’s tamales. Nellie’s makes a wonder oyster lomi lomi — you can serve it with cocktails, if you don’t eat it on the way home in the car. Santa Rosa Seafood also has great prepared items -including a lobster cioppino. Smoke and Oak has great soups and utilizes seasonal, local produce. Three Sisters are back with their fresh wreaths and other holiday decorations. It’s going to be a beautiful day, a perfect for shopping. The produce at the market is grown for taste (not shelf life or shipping) but it is also some of the most beautiful vegetables and fruit you will see anywhere. The regular Wednesday vendors will be joined by some Saturday regulars to provide for all your Thanksgiving needs. No matter what your Thanksgiving table looks like the market has it from soup to nuts and everything in between. This year the acorn squash at Orchard Farm were effected by the late rains. They are the perfect size for individual servings stuffed with whatever your vegan, gluten-free, or carnivore guest might like. This is the beginning of the citrus season and DeSantis has keffir limes, buddah’s hand and the fruit (tunas) from the prickly pear cactus which they turned into a margarita mix. Twin Peaks has mandarins. squash in all sizes and colors. Check out the Ruby Queen Beets at Crescent Moon. Each of the produce vendors have something unique. Offerings of the Land sells greens they grow from open pollination. You cannot get more local. If it’s classic mashed potatoes, ask Tom Noble at Armstrong Valley Farm which potato he recommends or the folks at Tommy Boy Farm. A number of vendors have wonderful sausage including Wednesday vendor Dreamcatcher, selling goat meat sausages. Don’t forget to order your pies! Cook ’em up! Or have them cooked on the spot. The crab season is here. The Santa Rosa Farmers Market is the place to be for everything for a great Thanksgiving Holiday…not too mention doing some holiday gift shopping as well. Dominique’s Sweets famous macarons are available in baby bite size – just right with coffee or boxed up as a gift. How can you resist something this cute? Ken Orchard of Orchard Farm shows off beautiful rutabagas. Fall has not only it’s own special vegetables but a few Spring friends such as nettles often sneak in. “I could list a bunch of recipes, but instead I am going to simply tell you to find any recipe you like that calls for greens, such as spinach or kale. Then, replace those greens with nettles. Get out your favorite soup, stew, quiche, lasagna, pesto or even spanakopita recipe, and replace the greens in the recipe with nettles. Kimberly actually made Nettle Spanakopita as a potluck dish at our friends wedding this Spring! It was all eaten up by the time I made it through the food line. 🙁 In case you were wondering, she simply used the recipe from the Moosewood Cookbook and replaced spinach with nettles. Heck, you can simply steam nettles and serve them as a delicious side dish. Sprinkling some Parmesan cheese on top is really nice. Chanterelles, Quince and Chestnuts! Oh My! Jim and Dave are back! Saturday markets and the Wednesday before Thanksgiving.